This entry was posted in Gardening and tagged daffodils, freesia, Hyacinth, Mouse the cat, spring, star jasmin. Bookmark the permalink. Ooohh! 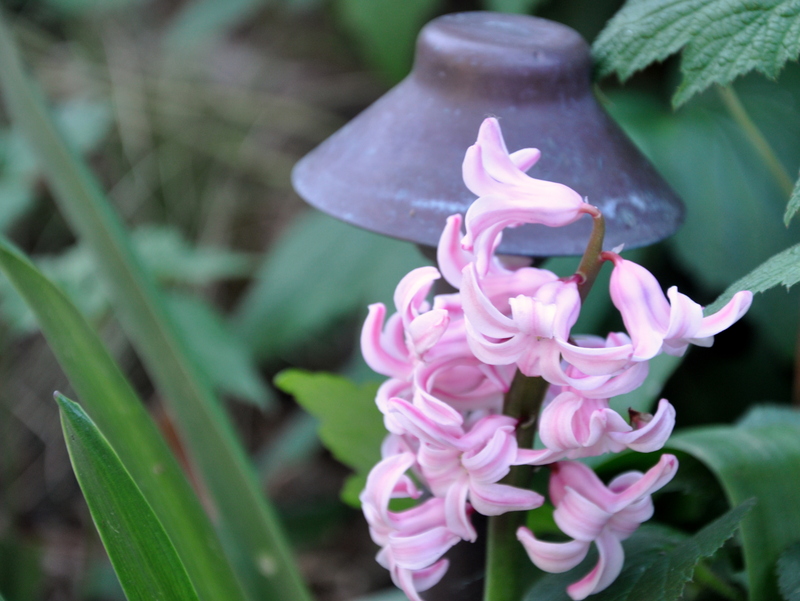 You’ve got some great scents in your garden! Yes, would love the “scratch & sniff” feature! We are luxuriating in “deck time” right now, and Bobcat does NOT want to come in! I’m so happy you are enjoying your deck. Hello Bobcat. Lindy and Mouse are enjoying this weather, too. D-lightful in every way. 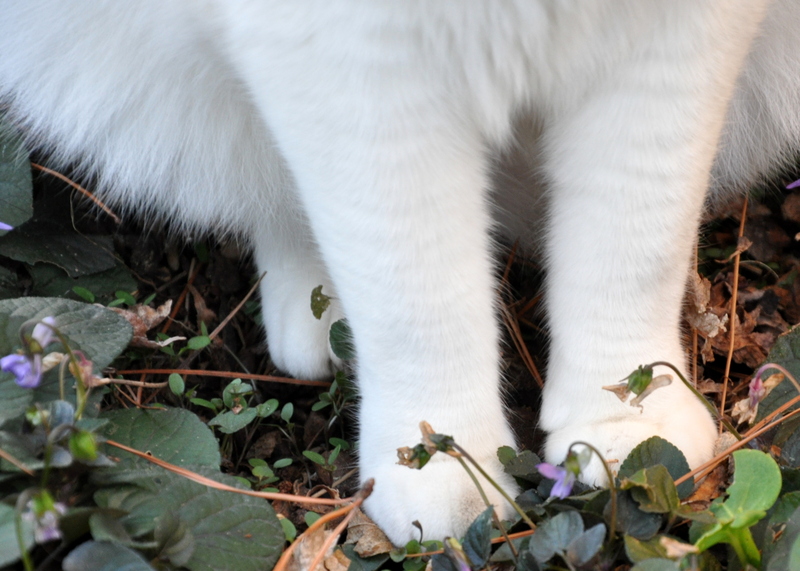 Those fluffy feet are the treat of the day. 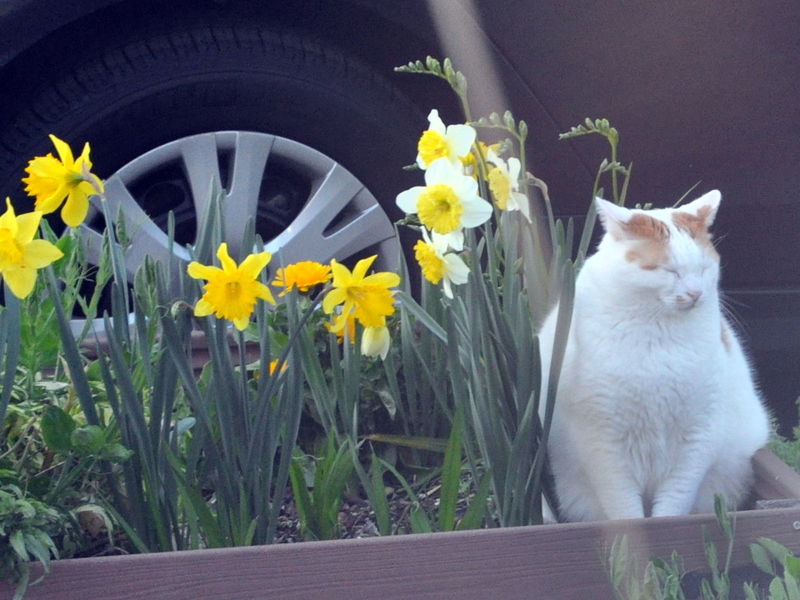 Oh Mouse, you are a sweet kitty cat with your eye closed in the curb garden. Were you inhaling the splender or just enjoying the warmth of the sun? Mouse loves following me around the garden. He’s good company most of the time, and now that he’s older he no longer jumps up on my (bare…ouch) back when I’m pulling weeds during the summer in a tank top. I guess if you’re going to live on the garden island, you’re going to have to make a good showing in the garden. As if that would be hard for the tow of us, eh? Oh, envious! We’re too hot and humid, bulbs don’t get enough chill to go dormant and the humidity means they tend to rot in the soil. 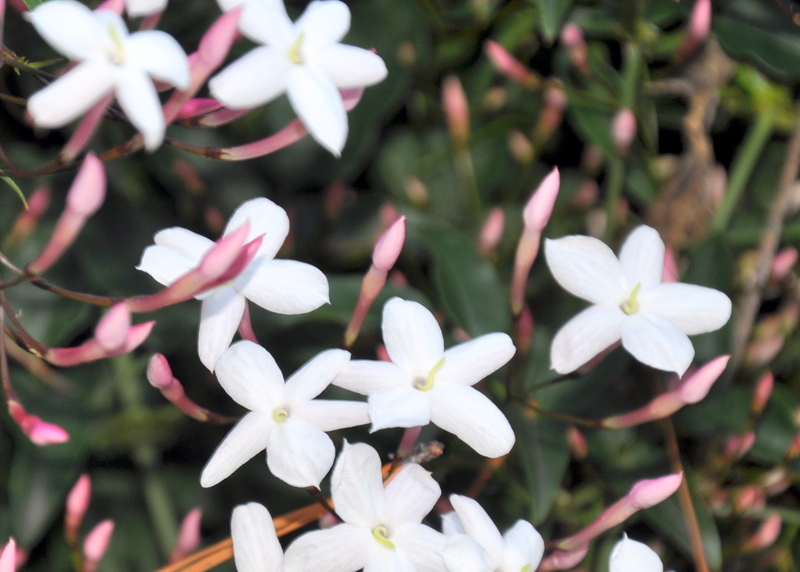 I adore the scent of freesias, jasmine and hyacinth, but we only get to enjoy jasmine here. Oh, and gardenias, my absolute favourite scent of all. 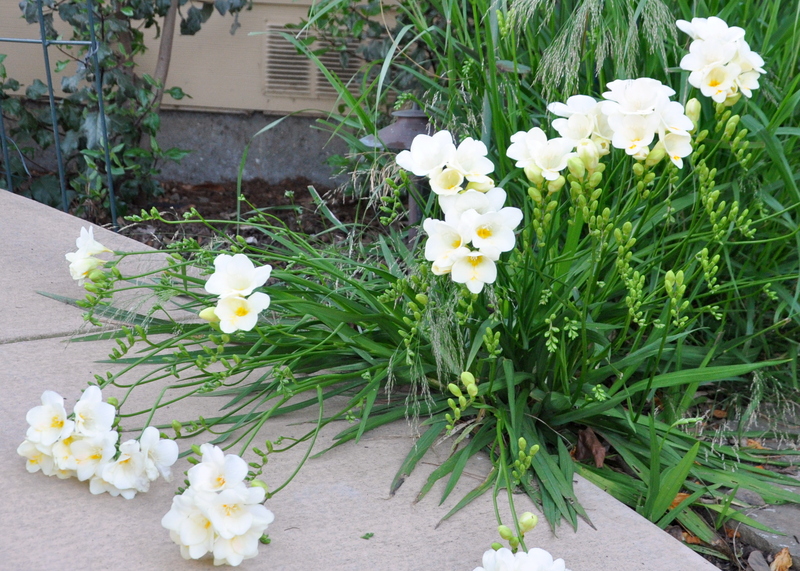 Why is it, do you think, that they can’t replicate freesia and gardenia properly, so we can enjoy the scent all year round…? I keep searching, but so far, all offerings have been pale imitations of Nature’s cleverness. I’ve never found an artificial scent that came close to the real deal, Kate. Nature’s magic is hard to replicate. I too love gardenias, and the fact that you can grow them and I can’t speaks to the differences in our climates, eh? I had gardenias in my wedding bouquet. They’re one of my favorites, too. It’s the spicy note of gardenia they can’t seem to capture, although they can get the sweetness. We have native gardenias growing as the median strip along the Bruce Highway through town, it makes riding the scooter down there really nice! Oh my gosh! Native gardenias along the median. That would be a lovely treat for the senses. You’re living the life, Kate. And croton, and spider lilies, and star jasmine and oleander. See, you need to visit Queensland! I think you may be on to something! Beautiful flowers, wish I could smell them. Enjoy! I’m like a dog lifting it’s nose to the scent in the air. When I’m in the garden I make sure I catch the fragrance. I’m sure their is some science to the fact that the earlier flowers are also fragrant. Most of the “summer color” is pretty but not as potent. 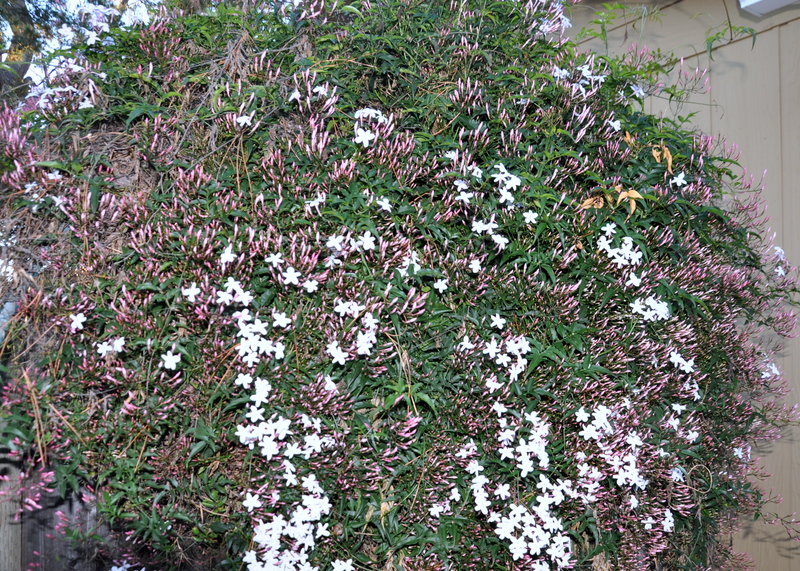 It pleases me no end to know we are both luxuriating in the fragrance of our jasmines at the same time – mine is having a spectacular late summer flush to atone for its rather hesitant showing in the coldness of our early summer this year. All is forgiven! I so love the scent of freesias but have never gotten around to planting a tub full here. 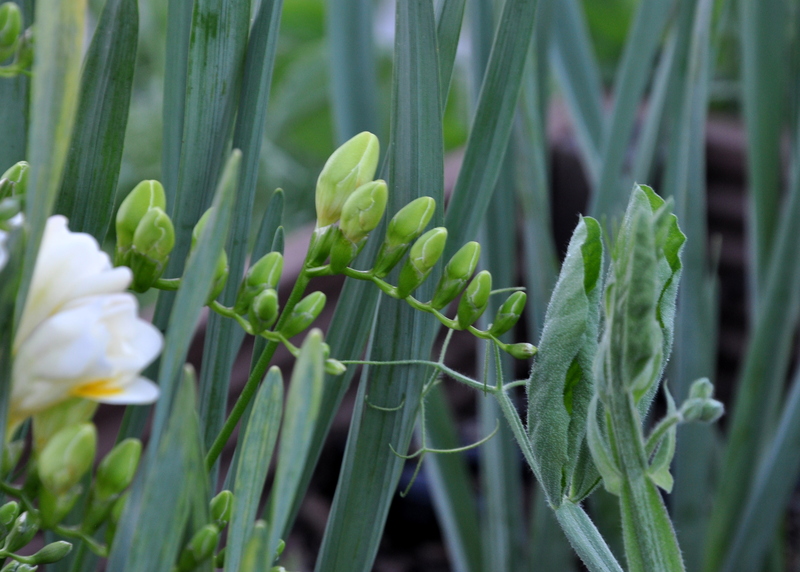 In my last proper garden I had oodles and used to take a bunch into school every day in early spring……. sigh!! We had two cold wet days but today summer is making a determined come-back. Siddy has spent the longest time yet at the old folks home making everyone smile (21/2 hours!) and being taken for endless walks by dotty old ladies who can’t remember why they have a happy puppy attached to them after a two minute perambulation down the hallway 🙂 I sat at a table and was supposed to be making a sweet birdie/chickie from a pompom, but instead found I had made an exact replica of an Angry Bird………….. another sigh!! I think the downside of ‘scratch ‘n sniff’ on the internet might outweigh the positives!! I could smell the flowers from your photographs and descriptions which stirred up memories of their fragrances so that’s good enough for me. 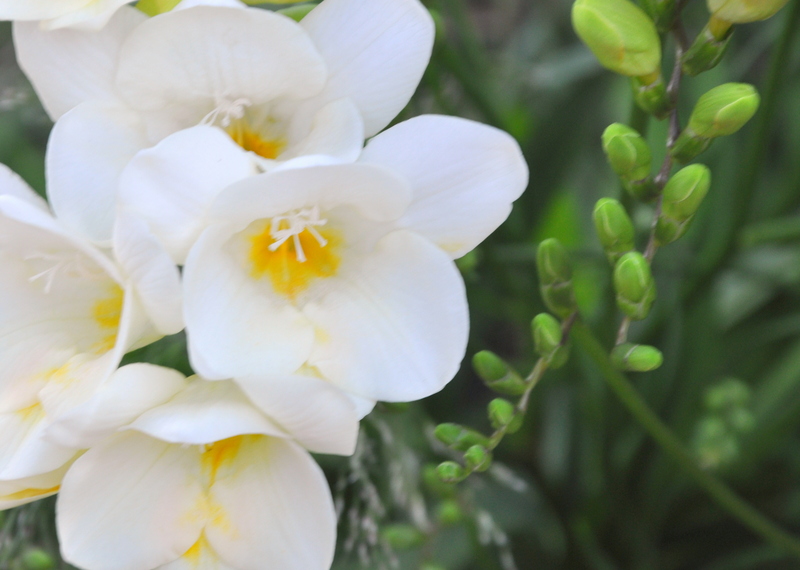 We have some sweet smelling blossom here at the moment and I must ask the resident gardener if we can grow freesias here or not – we’re quite high up and that rules out quite a few things. I’m so glad that your sense memory and your imagination allowed you to drink in the wonderful scent. I hadn’t really thought about elevation as a challenge when planting a garden. That’s fascinating. 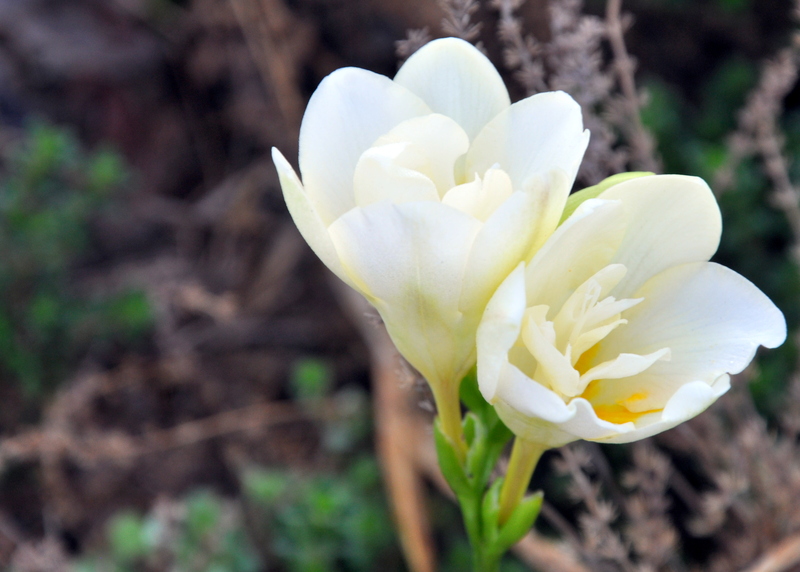 I adore freesias but most of mine have vanished; ceased to exist. Maybe something ate the bulbs. Scratch and sniff would be great. Only a matter of time! Thank you so much for reading and commenting on so many of my posts. What a treat. I wonder what became of your freesias? 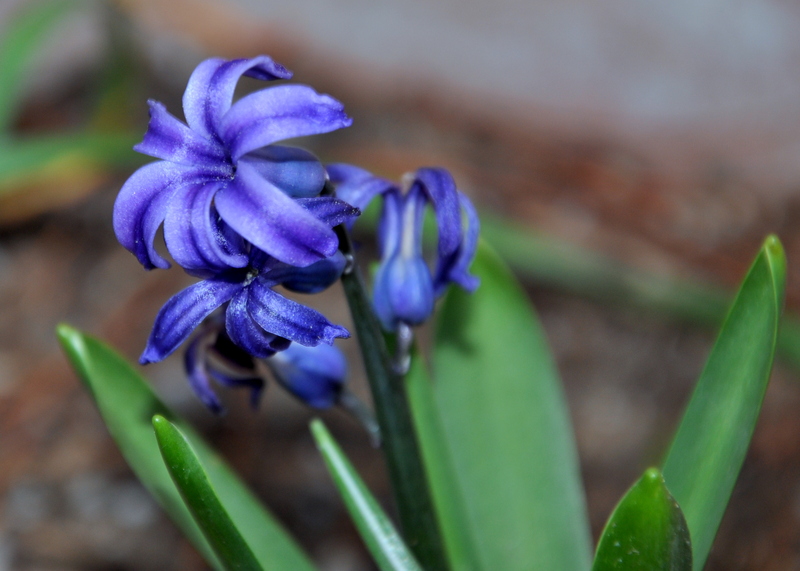 They’re toxic to some animals (which is why mine stay put…the squirrels won’t eat them). I wonder if they rotted in the ground? Will you plant some more? They may have rotted. Not sure if I will plant more but if I am going to I need to do so fairly soon. 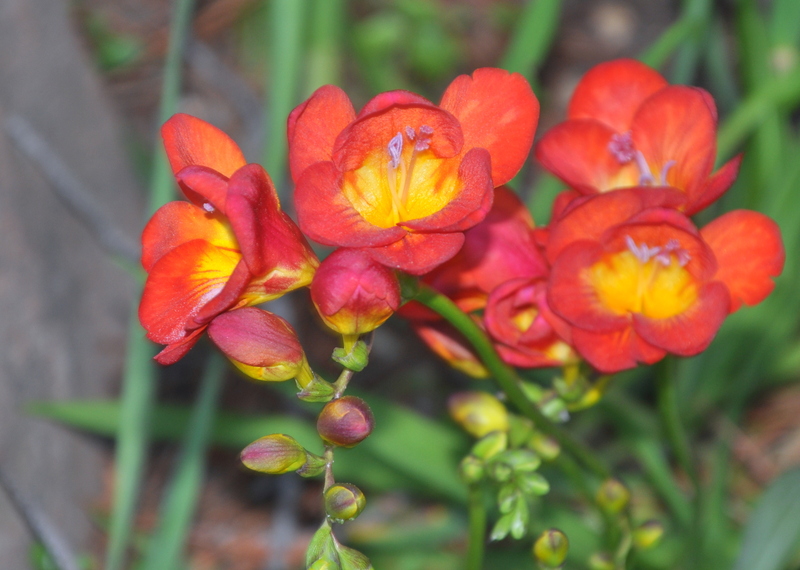 I like the red freesia! Actually, I would like any flower at all at the moment. We got lambasted with snow yesterday and last night. It’s very difficult to believe that spring will EVER come! Kerry, I’ve been watching news of the heavy snow and sleet along the east coast. It’s been brutal. I hope it passes quickly so you can soon get on with spring. 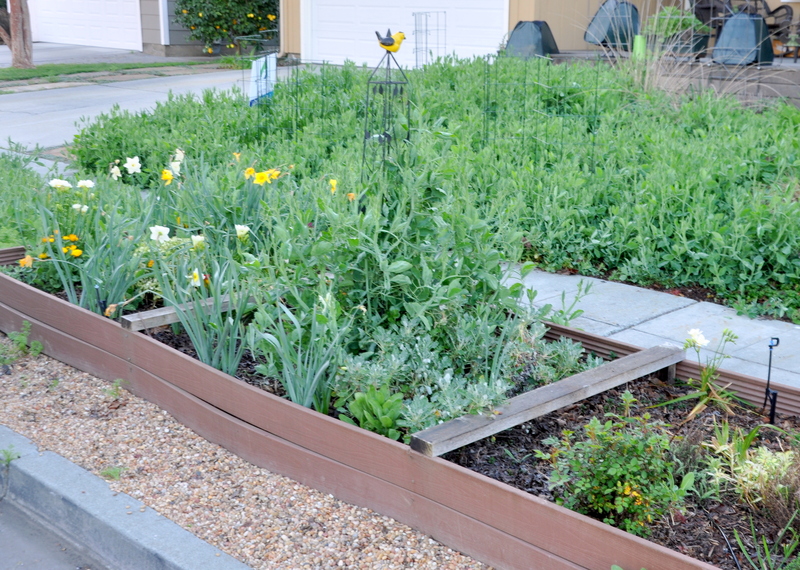 When is your “safe to plant” date for your gardening zone? Our date for planting seems to be about Mother’s Day, although the gardening centers tell us Memorial Day, to be safe! Can you imagine waiting that late? It looks glorious and i can only imagine what it smells like. We had a snow storm yesterday; it will be quite a while before we can enjoy the look and smell of Spring. Enjoy! We get to experience things much earlier and later here, thanks to California’s amazing weather. I lived in Ontario till I was 6, and I remember the cold winters well. Thank you, Sara. Cathy, I thought so too. He’s the cutest cat, full of personality, and often creates great photo ops. I love the smell of jasmine, and think it’s also in my top five. It’s heavenly. Oh, you’re in the midst of that burst of bloom. It’s so lovely. 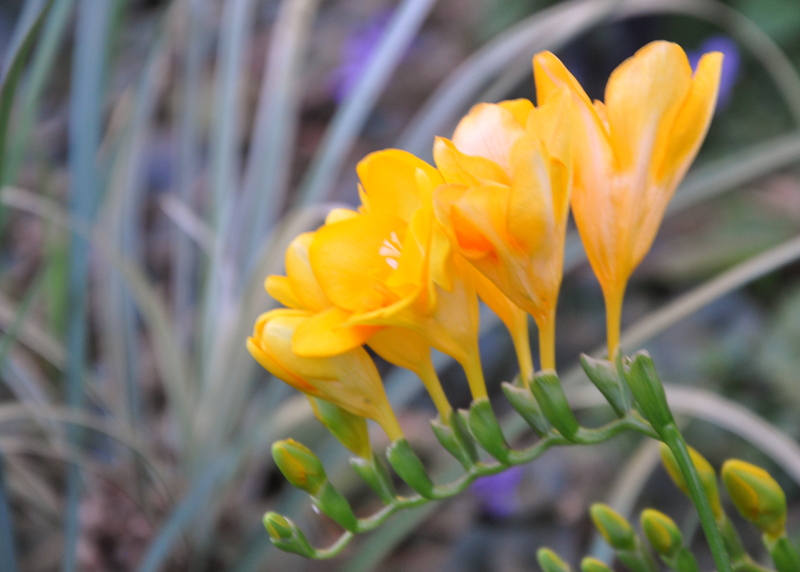 I like freesias too and wonder if I could grow them. Perhaps I should try. Your gardens are looking beautiful, Alys. I don’t need scratch and sniff to smell them!! It is lovely, Lisa. It goes by in a flash, I know, so I’ve learned to appreciate it while they last. The flowers of course have loved all this extra rain. 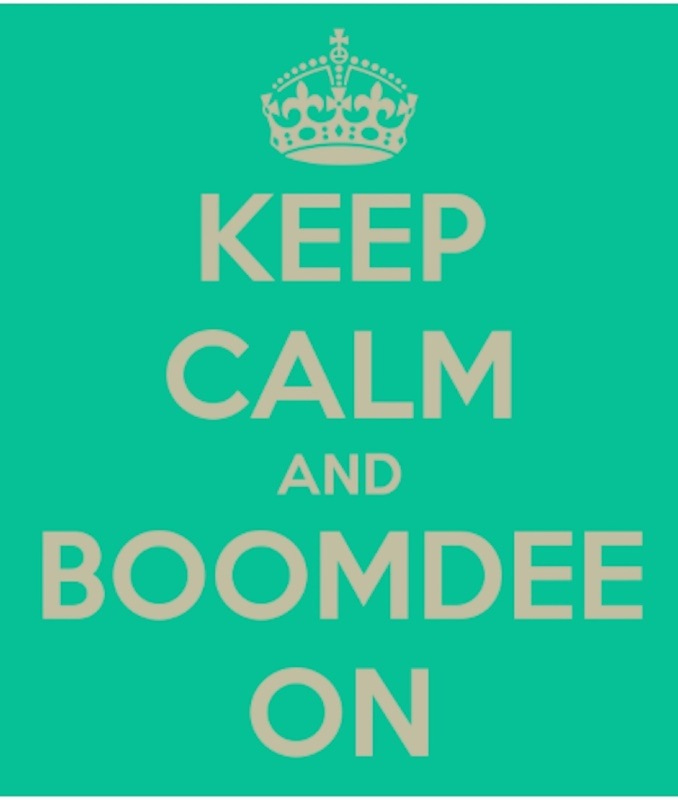 Everything this years seems fuller, brighter and, dare I anthropomorphize, happier. I’m glad you can smell the flowers.